Recipe for Fitness: Shout With Me... "I'm ALIVE!!!!" Shout With Me... "I'm ALIVE!!!!" As I was doing my cardio yesterday, I was thinking. It was a 45 minute steady state session, which I find incredibly boring, so I tend to do a lot of thinking while I'm working, lol. I had my Competition Posing playlist going, and I was holding my heart-rate steady at 135, as I climbed 148 floors on the stair-mill. Listening to the lyrics of songs I've picked that mean something special to me, I found myself digging deeper, pushing harder, each step taking me closer to my goal of crossing the stage in August. I thought about where I'd come from. Heavy, miserable, in pain and sick at nearly 200 lbs. I thought about the journey; the pain, the struggle, the frustration, the rhythm I eventually found, and the joy when I hit my goal weight, then shot right past it. I thought about the challenges of moving into maintenence mode, the fight to find and hold balance, the steps I took to push myself to continue to grow and reach new goals. I thought about where I'm at right now... preparing for my greatest challenge - to step onto the stage at the OCB Arizona Natural as a qualified and prepared Figure Competitor. And I thought about where I'm going after that. And I thought about you. I get a lot of emails asking me about motivation, and how I keep it. I ask myself often, what's the difference between my journey and the next persons? And I get asked, very often, how to rise above the struggle to reach goal. Since the day I hit goal weight and began my blog and website (www.BillandChelle.com/fitness), I've said that if I can do it, anyone can do it. I've believed that completely. I still do, but it's only partly true. We, each of us, have what it takes to succeed. Each one of us has the strength, the drive, the ability to reach our goals. But some never will. No matter the tools, the advice, the need, some people will never do what it takes to complete a lifestyle change and maintain it. Why? When I've addressed this before, here and on forums, I've stated that the reason some people never reach goal is that they don't want it enough. I know that sounds oversimplified, but it's really not. The reason I was able to make the transformation I've made (not that I've arrived, but I have transformed and thrived), is that I wanted it. More than anything. I wanted it more than I wanted to keep eating junk and lay on the coach. I wanted it more than I wanted to have my life stay "easy". So I worked. And worked. And cried, and fought, and struggled. And I made it to goal, beyond goal, and I'm still going. Each one of us is born with the indomitable human spirit. It's what causes us to take that first breath and scream with it, "I'm Alive!" Along the way, life - circumstances, environment, has leached some of that spirit from us. It's our job to take it back. To take that breath again, and scream, "I'm Alive, and I'm damn well going to stay that way!" I have that. YOU have that. Each one of us is capable of doing more, going farther, climbing higher. Capable, but not probable. Most folks will never leave their comfortable laziness. It takes something more to not be one of those people. You have that something more. Are you using it? When's the last time you felt that sizzle of life, when you wanted to shout, "I'm alive!"? When's the last time that you felt strong, capable? When's the last time you dug deep and finished a challenge? You have what it takes to make the climb, and to stand on the summit of your goal and scream, "I'M ALIVE!!!" If your goal is to lose weight, to reclaim health, the path is simple: Eat Clean and Exercise. There are no shortcuts, no magic pills. It takes hard work, commitment and organization. It takes your indomitable human spirit. It takes your desire to stand on that summit and know that YOU made the climb. Motivation is like a butterfly. It will flit in and out of your life. Motivation is fleeting. I know I say it alot, but it bears repeating... don't wait for motivation. You'll wait possibly forever. Act as if the motivation is there... do what you know you need to do, take the steps you know you must take, and let motivation catch up. It will. It might not be today, or tomorrow, or even next week. But if you do what you need to do, motivation WILL catch up to you. It might not stick around long, which is why it's so important that we continue to take the steps, continue to climb the mountain. Engage your drive to succeed. My husband says, "Drive is self-imposed motivation", and that really resonates with me. Motivation is like a butterfly, it'll flit in and out of your life, but drive is something else altogether. Drive is 100% in your control. Just like your eating is. You have 100% control over what goes in your mouth. Start there. Use your drive. This is YOUR journey! Own it! Self-impose that motivation, and take moments along the way to stand up and shout, "I'm Alive!". As I finished my cardio on the stairmaster, I stood tall, I felt strong. I was sweating like a pig, my muscles ached, my knees whimpered, but in my head, I was screaming, "I'm Alive, and I'm damn well going to stay that way!" Great post. Every word is so true, I wholeheartedly agree! I also do the best thinking during steady state cardio =) Can't wait to see you on that stage! Thank you, Chelle! This is what I need to focus on and remember! 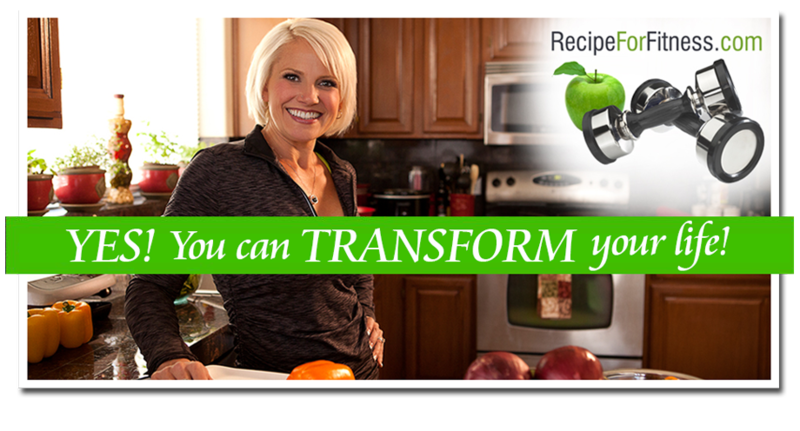 I've been following you and a few others on the eat-clean forum and you all are such an inspiration! Thank you for sharing all that you do! It's helped me organize and get things ready to do this right!!! !